A year ago, before leaving for Asia to climb with some friends and take photos, Rhyss and Ardeine talked to me about opening a tire shop. Rhyss and Ardeine are cousins. I consider them family after knowing them for almost 10 years and so I said I was up for the challenge. I met Rhyss when I moved from the Philippines to California during my senior year in high school. We went everywhere, 5 different countries and all over the United States climbing and taking photos. He is very hard working and cares about family. Ardeine is very skilled with cars, is a workaholic and he would do anything for his wife, Vanessa and his son AR. These two love anything mechanical that has a motor and wheels. 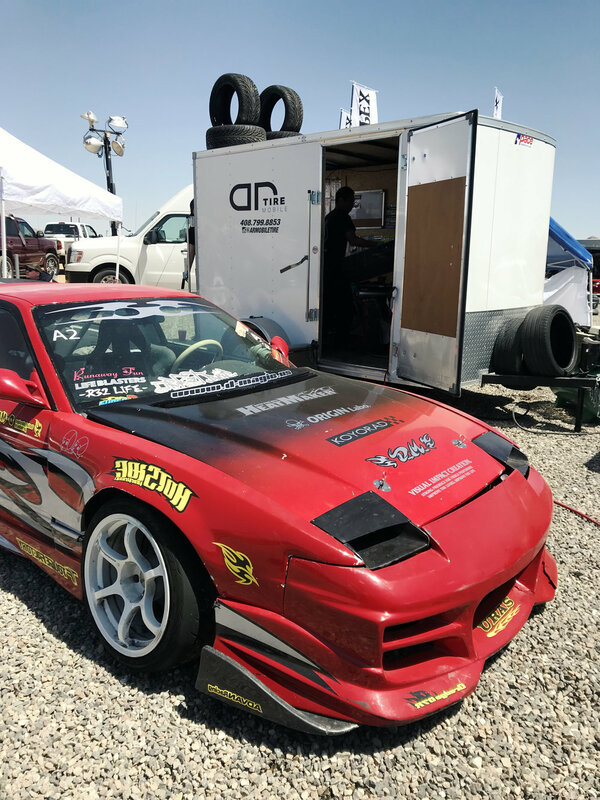 They are car enthusiasts, who in their spare time, drift and go to the track to help other enthusiasts with their cars. We wanted to develop something that is very helpful for society and at the same time cater to our clients needs. We noticed that there are more and more tech companies moving to California and a lot of these people don’t have time to drive their cars to the shop or get their tires changed. So we made the first mobile tire shop in Silicon Valley where our customers don’t need to come to us, we go to them for their tire service. We named it after Ardeine’s son and Rhyss and I’s godson. Sadly, we had our mobile shop stolen and everything was gone when the trailer was found this morning. We are reaching out to our friends and family for any help to rebuild our business. Shout out to the team at @Superwowfactory for the love and support.